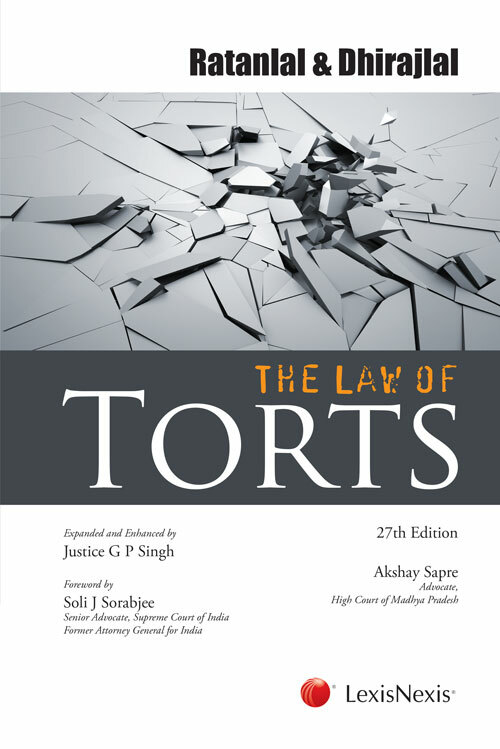 Ratanlal and Dhirajlal’s classic work on the Law of Torts is the most authoritative, well-acknowledged and comprehensive commentary on the subject. First published in 1897, this legal classic has withstood the test of time, and served the legal profession and everyone associated with it, for over a century. Its appeal has not withered but has only grown with the passage of time. The 27th edition of this leading commentary on the law of torts has been painstakingly revised to include the latest judicial as well as legislative developments in the ever evolving subject of torts. It covers the latest case law as well as the legislative amendments that have come about since the publication of last edition. All landmark decisions, such as the Limestone quarrying in Doon Valley case (1985), Oleum Gas Leak case (1986), Delhi Pollution case (1988), Bicchri case (1989), Jacob Mathew case on medical negligence (2005), Bhopal Gas Leak case, Uphaar Cinema and the related Sushil Ansal case (2014) have been discussed. The book also examines the legislative provisions dealing with liability under the Environment Protection Act, the Consumer Protection Act as well as the Motor Vehicles Act. This book will be an invaluable reference for judges, lawyers and law firms specializing in civil, criminal, consumer and environment laws.